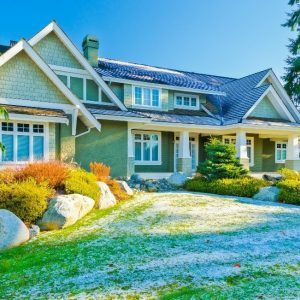 Our Best Tips to Winterize Your Yard Quickly | Turf Etc. Winter is fast approaching, and that means it’s time for Kansas City homeowners to prepare their landscaping with artificial lawns. Many elements of your front and backyard need to be winterized to protect them from harsh winter weather. You’ll need to check everything from your swimming pool and garden accessories to your lawn furniture. SYNLawn artificial grass is one less aspect of your home to worry about this winter season. SYNLawn artificial grass does not freeze or become brittle when the temperature drops. There will be no more brown or bare spots on your lawn. Our artificial grass also comes in a variety of colors to provide a natural appearance that blends in with every season. SYNLawn artificial grass also has Omega technology to keep synthetic grass cool during the warm Kansas City summers. This new fiber shape naturally refracts light, deflecting heat for cooler surface temperatures and ensures a comfortable feel all year round. Swimming pools are a large investment that are worth protecting. First, be sure to store your pool cleaners, skimmer baskets, wall fittings, ladders and solar blankets in a shed or garage. Purchase and install a pool cover that tightly covers the entirety of your pool so that there are no gaps or holes for debris to enter. Be sure to lower the water level of the pool and drain the filters, chlorinators, heaters and filters to prevent cracking in the freezing temperatures. Water chemistry is also crucial this time of year. The pH should be balanced between 7.2 and 7.6 pH and the alkalinity should be between 80 and 220ppm. Calcium hardness should be between 180 and 220 ppm. A helpful tip to clean and protect garden tools is to dip them in a mixture of motor oil and sand before you store them. This ensures that they will not only stay clean but will be lubricated as well. It may be tempting to just drain your hose and leave it outside. However, even drained hoses will erode when exposed to the cold for long periods of time. This means that you may need to replace your garden hoses sooner than if you simply stored them inside for the season after draining. Wrought iron furniture and heavier pieces can be left outside if they are covered with the manufacturers’ covers or large garbage bags. Lighter furniture can be easily stored in the garage or shed. Fabric cushions need to be stored in a covered area away from the elements. It is also helpful to clean your furniture before you store it to prevent stains from becoming permanent and to get rid of any bugs or spiders that may have taken up residence on your furniture during the warmer months. Portable grills and barbeques need to be moved to a garage, shed or plastic storage unit. Always store propane tanks outdoors and cover with a plastic bag or tarpaulin. Never store a propane tank indoors because there is a risk of explosion. You can rest assured that knowing that SYNLawn artificial grass is specially engineered to withstand cooler temperatures as well as precipitation and windy conditions.